Located on the hillsides of St.-Emilion, Château Ausone’s production is almost boutique, totaling just over 2000 cases per annum with little emphasis on export, making it difficult to find their wines commercially and internationally. The scarcity and desirability of Château Ausone lands the wines in third place for the most expensive Bordelais houses, after Petrus and Le Pin. In the 1990s the Vauthier and Dubois-Challon families began to argue over the philosophy of winemaking resulting in a buyout of the Dubois-Challon family, and the hiring of winemaker Alain Vauthier with world renowned consultant Michel Rolland at his side. The new ownership resulted in a later harvest (weather permitting), malolactic fermentation in barrel, and the introduction of a second wine called Chapelle d’Ausone. 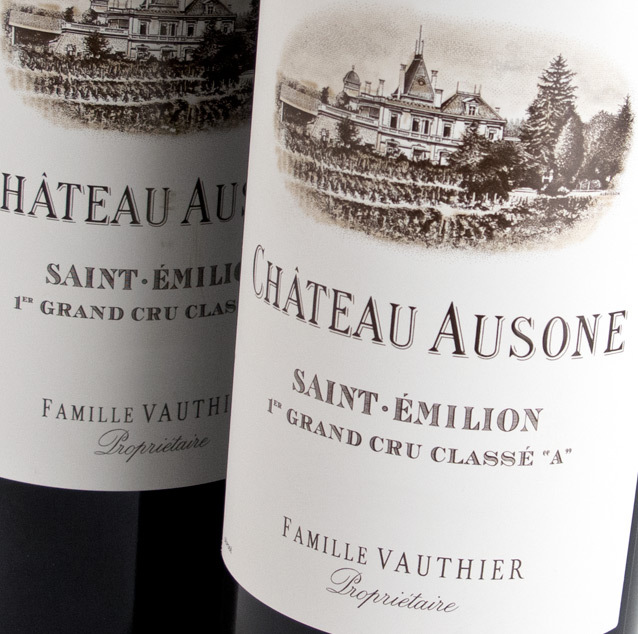 Today Ausone is one of only four wines ranked Premier Grand Cru Classe (A) of the St. Emilion wine classification.